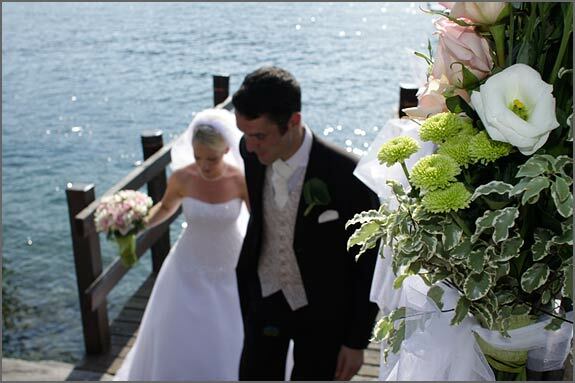 Last but not least part 5 of our Summer Season Weddings on Lake Orta. Today I will tell you about one of my favorite weddings of this year: Gillian and Louis’ special day. Gillian and Louis chose as theme color pink and apple green but what made the event special were multicolored kilts of guests. 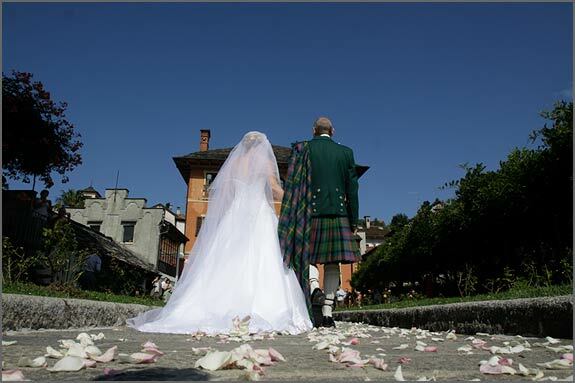 She is Scottish and he is Italo-Scottish and they both chose Orta San Giulio for Louis’ family Piemonte heritage. 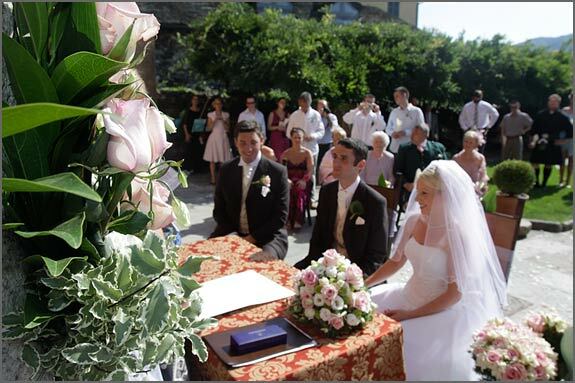 Sweet and lovely Gillian look like a pretty princess when she walked on aisle of Villa Bossi Garden. Her father was by her side wearing a kilt, but he wasn’t alone! 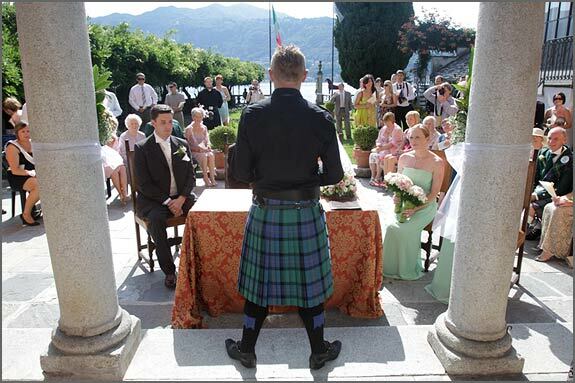 All guests had it on to bring a corner of Scotland in Orta. As all the other weddings that I mentioned in Summer Season Wedding in Orta session, Gillian and Louis had a great sunny day. 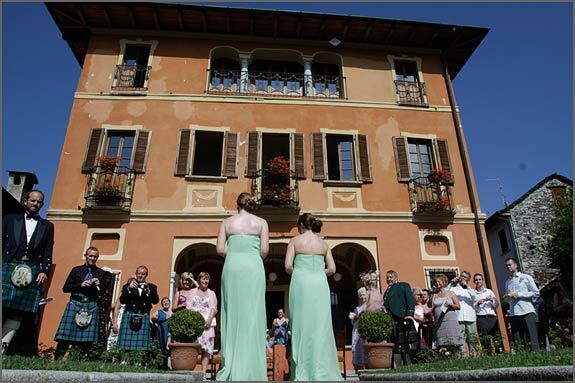 It was the perfect weather for an outdoor civil ceremony in the town hall of Orta San Giulio. 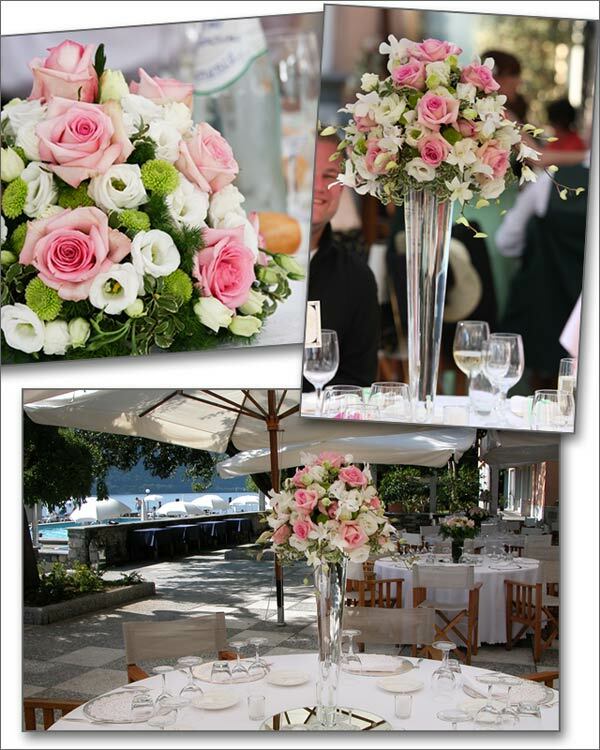 Floral arrangements were created by Paola one of the florist designers of La Piccola Selva. 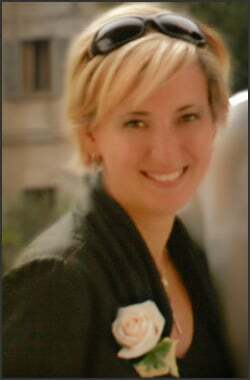 She created fresh and natural bunches of flowers for the decoration of the gate and the columns of Villa Bossi. 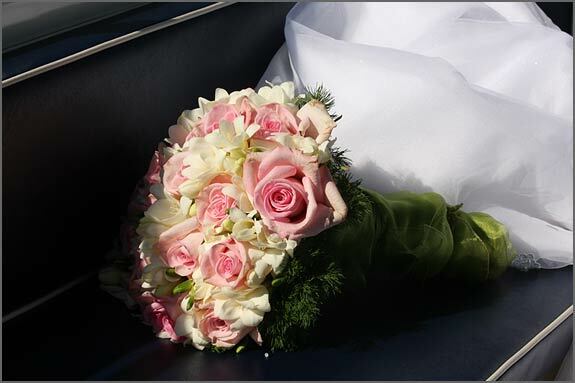 Bridal and bridesmaid bouquet had the same style Gillian wanted. A perfect match between baby rose, apple green and white. 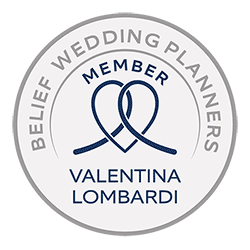 After the ceremony Gillian and Louis walked along ancient pedestrian roads of the village. 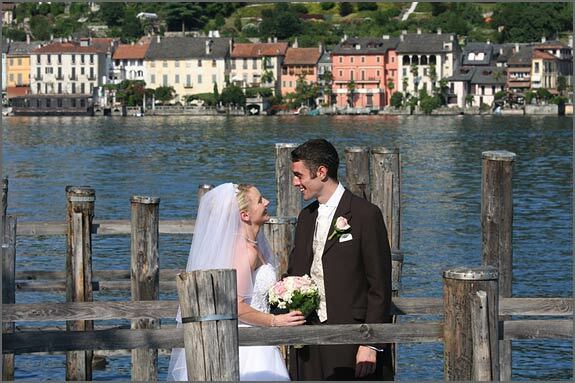 A wedding in Orta is not complete without a tour on the lake to discover the landscapes and beautiful St. Julius Island. Here you can find amazing spots for unforgettable wedding pictures. Reception centerpieces Paola created were wonderful too. 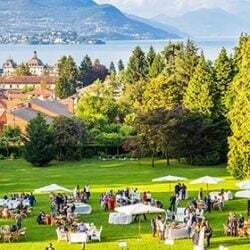 Reception was held on the terrace of the Hotel San Rocco. Paola used Sophia roses, white orchids, lysiantus and pom-pom daisies for a colorful composition that bride, groom and guests simply loved. After the dinner the wedding cake cut! Wedding cake was prepared by Gillian’s uncle and arrived directly from Scotland! And to follow traditional Scottish dances for everybody! 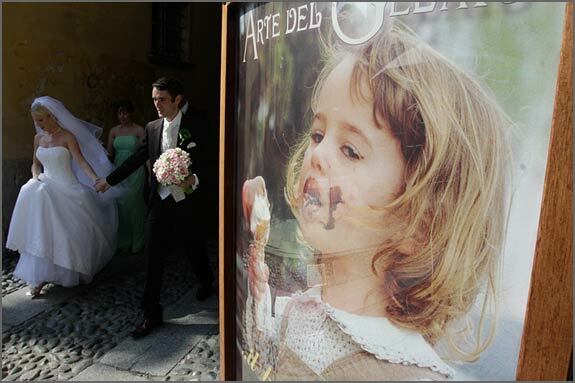 This is the last of our 5 posts dedicated to our Summer Season Weddings in Orta. We are glad that we had the possibility to meet colors, countries and people on Lake Orta. This is a special place to live a unique and special experience….just on the shores of one of the most romantic Italian lakes. All images: © Andrea Dapueto, Genova. All rights reserved.